One good thing about insects as a hobby is there are so many of them and they're everywhere. The high desert environment of central Oregon is so different from our coastal rainforest it gives opportunities to encounter entirely unfamiliar species. So, I took my cameras on a trip last week. It was easy to add a few critters to my life list. I spent a lot of time chasing what I thought was an agile and nervous brilliant indigo bee. 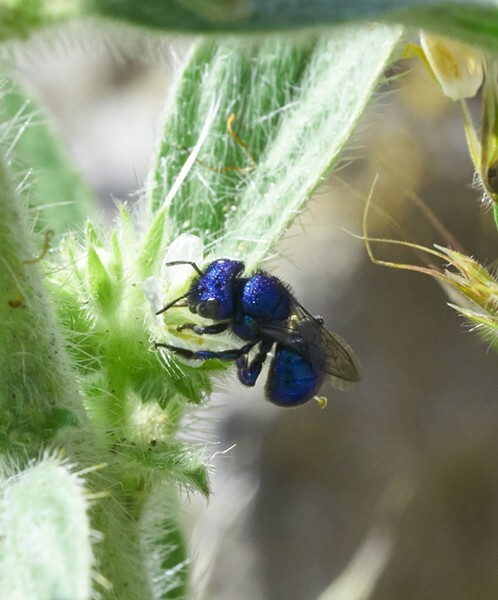 It turns out it to be Parnopes edwardsii, a cuckoo wasp that lays its eggs in the nests of other wasps. When they hatch, they eat either the host wasp larva, the larder its mother provided or both. At the Mt. Mazama overlook on State Route 138, a tiny dark butterfly taunted me, flitting from one strawberry blossom to another until I finally got a shot. It turned out to be a western pine elfin (Callophrys eryphon), something I'm never likely to see in my part of Humboldt County. 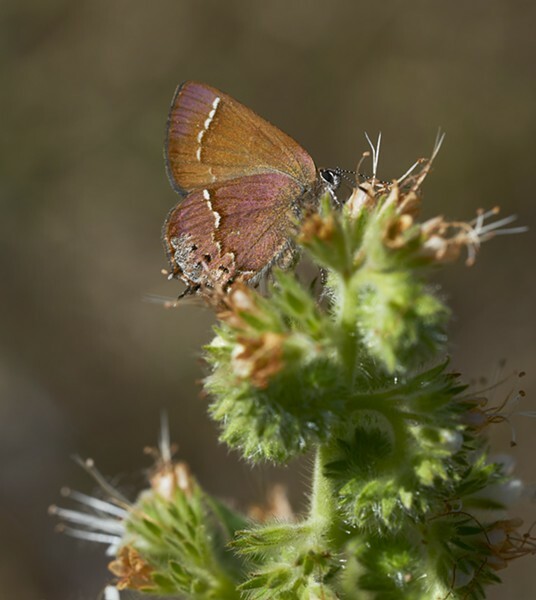 Outside of Culver Oregon some juniper hairstreak butterflies (Callophrys gryneus) were so intent nectaring on a drab spike of phacelia flowers they paid me almost no heed at all, allowing me to get several nice shots. Researching this butterfly I learned the western juniper (Juniperus occidentalis) on which their caterpillars likely feed are considered an invasive species in central Oregon. 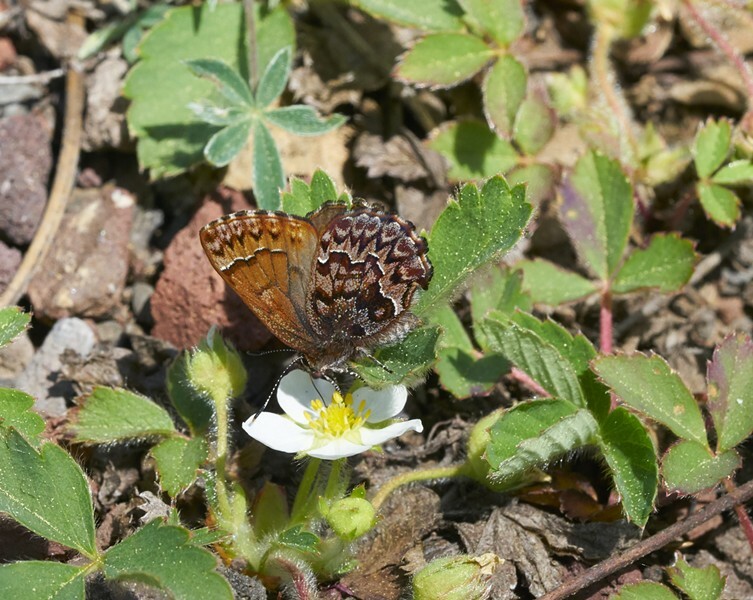 The presence of that little butterfly indicates a changing local ecology.